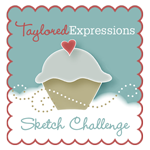 Welcome to the August Release of Taylored Expressions!! 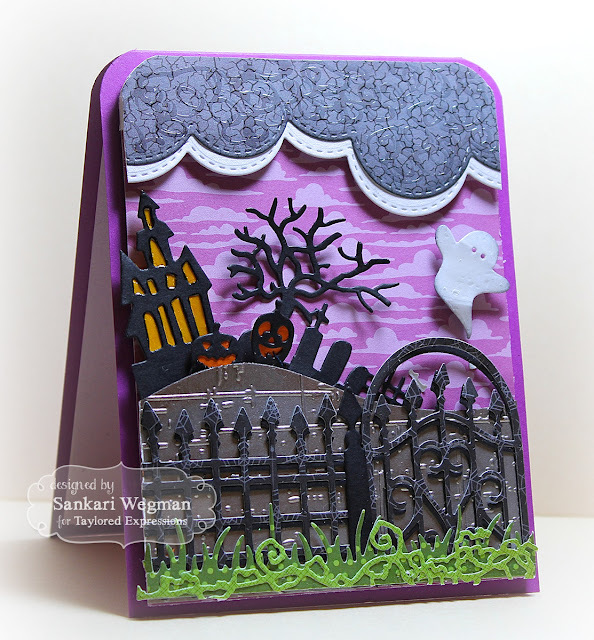 I used the Wrought Iron Fence die and die cut it using black and grey spider web paper from the Matched Kit - Build a Scene Halloween papers. 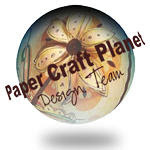 I used this matched kit papers for the purple cardstock background, for the grass, clouds and sky. And here is the set of tags - I love all the papers in this Matched Kit - Build A Scene Halloween set! I also added a spider web from the Spooky Arbor - Accessories die set and added a little bling to the center and some twine from the tag center! I love this tag set!! Please hop over tomorrow for more TE sneak peeks!! What a cool card for Halloween! I love the depth you added. That just makes it. Your tags hit the spot! Thanks for sharing. Seriously it's not fair how amazing your scene cards are. I mean really. NOT FAIR!!!! :) Brilliant choice of using the gray crackle paper to make stormy clouds!!! and I love the contrast of the purple sky. 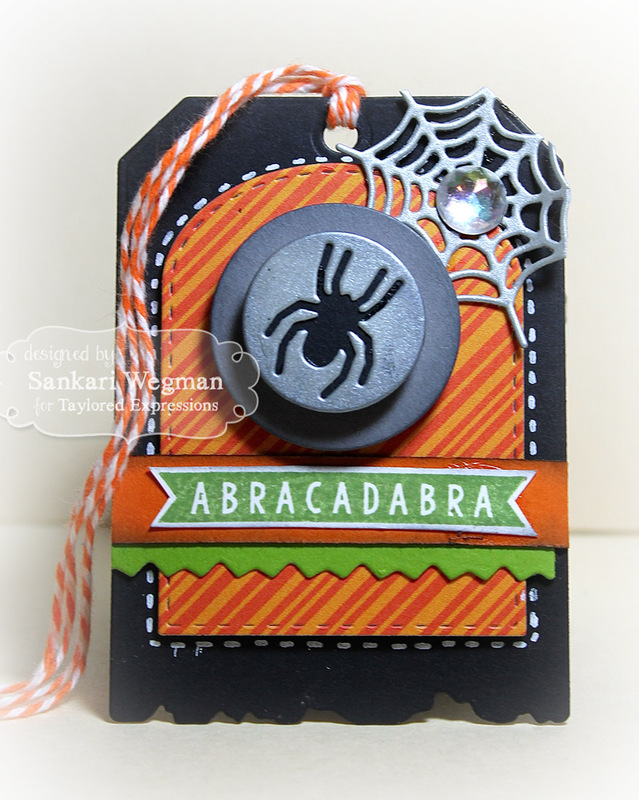 Beautiful card and tag. Really like your clouds on your card. What a fabulous scene!! Everywhere you look there's some fun Halloween symbol!! 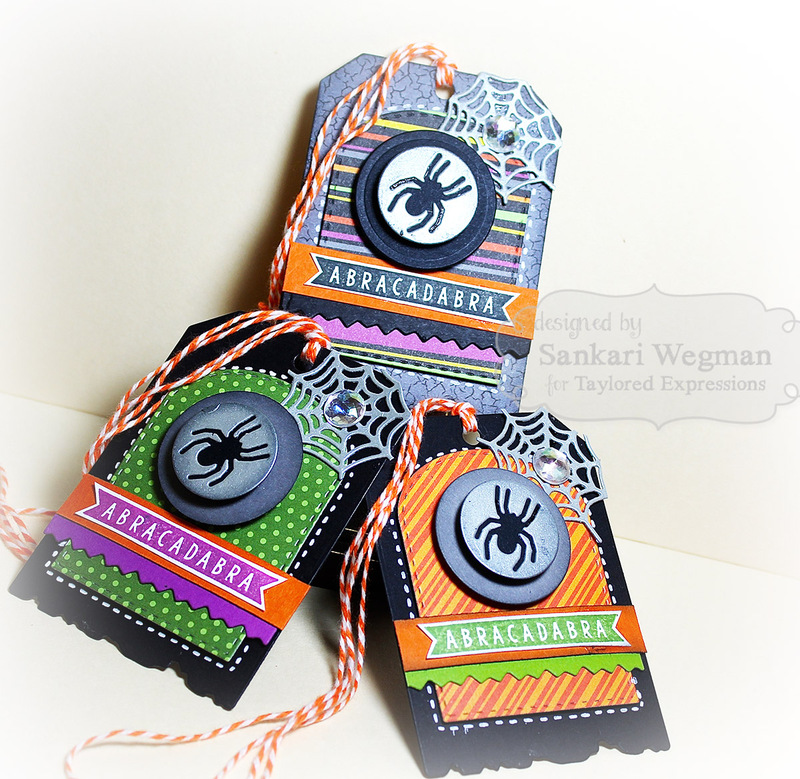 Those tags are so cute (and maybe a little creepy) - I love the way you have done the spiders on the tags! Your card is sooo cute and spooky, Sankari, and I love the tags you created...awesome projects!!!!!! Far out! 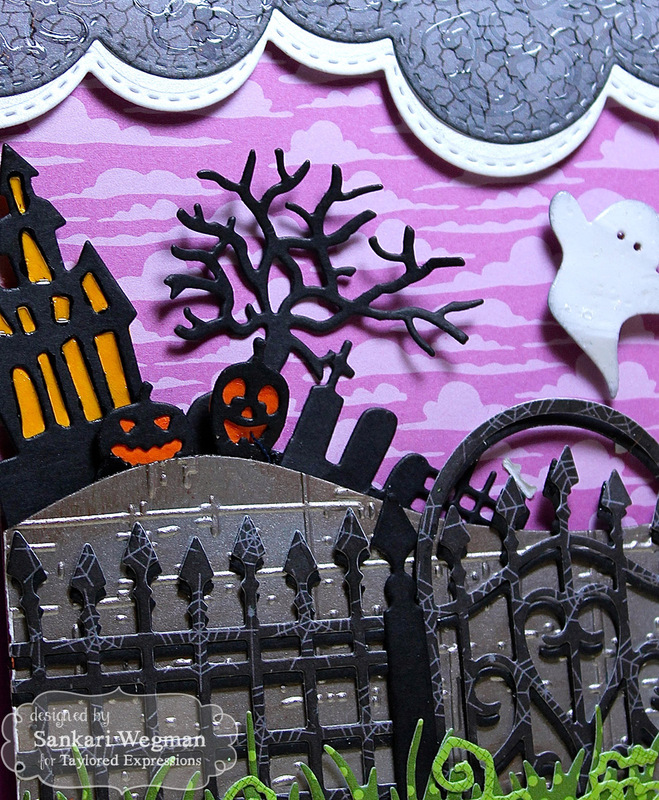 That Halloween card is da bomb! I love the new dies for this holiday!